You’d be surprised how often people mistakenly put oil in their coolant resevoir by accident. Picture by Sigaus, distributed under a CC BY-SA 4.0 Licence. Owning a vehicle is incredibly freeing and highly convenient. But just as our cars do a lot for us, we too must do a lot for them. That means staying vigilant with regular checks and it means making repairs and diagnoses where necessary. A lot of the time this is easy enough: it entails topping up gas and oil and maybe replacing the odd tire. But every now and then something will go wrong that we’re not overly familiar with. And then the panic sets in: is this an expensive, lengthy repair? Or is it (hopefully) something we can fix fairly easily? How about if you find oil in your coolant? Let’s take a look at what this means and what you should do about it. To understand what oil in your coolant might mean for you and your car, you should first consider what both of these fluids are normally used for. To that end, we of course know that the job of coolant is to cool the engine and to prevent it from overheating. This becomes especially important in summer months, hot climates, or long drives. The oil meanwhile is a lubricant. Its job is to make sure that the moving parts in your car stay slick and don’t start to jam because of friction. Just as you need to give your squeaky door the occasional spray of WD40, so does your car occasionally need a top up of oil. While a bit of oil is good for your engine, it’s very important that nothing else that shouldn’t be there stays out. Thus, it is designed in such a way as to be protected from foreign agents. The cylinder shaped head in this system is the cooling system and it rests on the block of the engine (the block being the structure with multiple combustion chambers/cylinders). Picture of a typical eight cylinder engine block. Picture by Collard, ditributed under a CC0 1.0 Licence. This cylindrical head doubles as the ceiling for these chambers to keep them clear of debris. Between the engine block and this head is the gasket cylinder. This is the central hub of the engine and this is what you need to look at when you find oil in coolant samples. The gasket seals the cylinder head and the engine block and its job is to prevent the leakage of fluids while also ensuring that liquid doesn’t fall onto the cylinders. Normally, the channels for the oil and for the coolant are kept separate. When you start to find oil in the coolant though, this suggests there may be a problem with your head gasket. If you’re not familiar the key parts of your engine, then taking a look at your car’s manual might help. If you can’t find it you should be able to download a copy via Edmunds.com. If not, try Autozone’s library here. And of course it is possible that someone made an error when filling up the tanks! The first thing to do if you find oil in coolant, is to diagnose the issue. Take a look at your combustion engine and find the thin sheet that is the head gasket. You might notice that this has become damaged and you might find that liquids have leaked around it. Picture of a head gasket sat on top of an engine block. Check this for damage or leaks. Picture by Gollard, distributed under a CC BY-SA 3.0 Licence. You’ll also find that in your radiator top up tank or reservoir tank there is a mixture of both oil and coolant. It will often have a brownish color as a result. This requires your urgent attention. The biggest risk here is that the wrong liquids passing through the wrong parts of your engine can cause permanent damage to your vehicle which could require a lot of expensive repairs or may mean replacing the car altogether. The good news is that this is a fairly rare occurrence and that it takes a long time for this kind of damage to occur in a modern vehicle. After all, the gasket is a very important part of the combustion chamber and therefore has the same physical strength specifications as the other components in that area. The other good news is that if you spot the problem early, the gasket itself is a relatively inexpensive item to replace and this should be something a mechanic can help with. It is highly recommended that you take your car into a garage as soon as possible. However, you can try to clean up yourself if you wish to. If the issue has been caused by a simple mistake such as too much coolant and water, or a simple mix up, then that might be enough to stave off the issue permanently. But you know what? It’s always better to be safe than sorry. So, if you’re not confident of diagnosing it yourself, take your car into a garage and put your mind at ease! Unless you’re experienced in dealing with these types of things, if you find oil in your coolant resevoir you should have a certified mechanic deal with it for you. Have you found oil in your coolant resevoir? 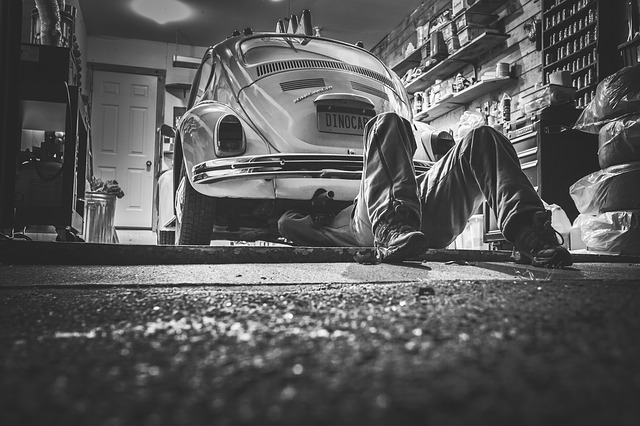 Was it easy to diagnose or did you get a mechanic to do it? We’d love to hear from you. Do you need a motor oil that performs well in cold temperatures? If so, check out our post on the 8 best-selling 0w-20 synthetic motor oils on the market right now.